Answer Drives Low Voltage inverters: flexible, performing solutions for demanding applications. 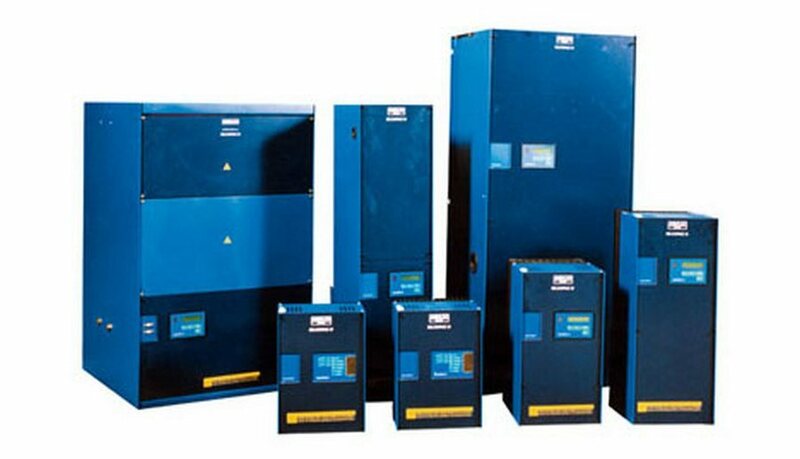 The Answer Drives family of low voltage inverters are the ideal solution for demanding industrial applications: from simple to high performance, from low power (0.37kW) up to 6MW, from the single motor to the multi-motor version, these inverters are the ideal choice for system engineers, manufacturers and final users. The Answer Drives 700 is a compact, easy to use and low cost Variable Frequency Drive (VFD) that uses IGBT technology for control of low voltage AC motors. AD1000 is the new energy-saving solution for optimal pump control. It is a high-performance variable frequency drive that can reduce energy demand significantly by automatically adjusting. The Answer Drives 3000 is a vector Variable Frequency Drive with unmatched levels of adaptability. This efficient drive has proven service in a wide range of applications with. The Answer Drives 5000 is an IGBT-based VDF suitable for a single motor or system applications with asynchronous motors and it is developed for AC or DC power supply. The Answer Drives HP, available with either forced air or water cooling, extends the power of the Answer Drives 3000 up to 6 MW. The Answer Drives HP has the same. The Answer Drives GS is designed for large-scale grid-connected photo-voltaic systems like industrial or ground mounted plants and can be connected. DC is a family of compact, high performance three-phase AC/DC thyristor converters with two or four quadrant operation, high, dynamic response, ease of customization.